Dua Lipa has been making the rounds at events ahead of the Grammys on Sunday (February 10). 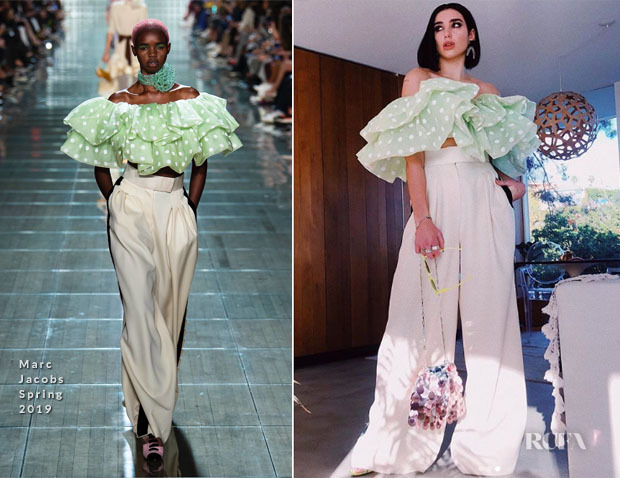 Grammy’s Press: She was full of femininity in a flouncy Marc Jacobs Spring 2019 ensemble. It’s unshrinking in its girlishness but didn’t become saccharine. The billowing pleated trousers provide some structure against the voluminous top and embellished Paco Rabanne bag. Warner Music Pre-Grammy Celebration: From whimsical to edgy, she exuded downtown rocker cool with a slight western twist in Alexander Wang Spring 2019 and Delfina Delettrez jewels. It could have been a brilliant performance piece, but it made for a memorable black carpet turn. 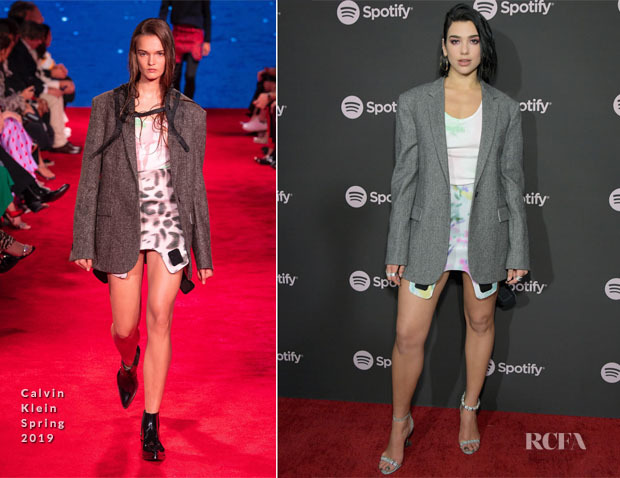 Spotify ‘Best New Artist 2019’ Party: She showed serious leg in Calvin Klein Spring 2019. It’s a quirky look with the mannish blazer and tie-dye separates. The details on the uneven hem will likely be the thing that perplexes people the most. Did you miss the harness?